Home // Mark Your Calendar // Have You Heard? It’s what we say when news breaks. It’s what we ask when the extraordinary occurs. It’s what we say when we want someone we care about to be in the know. It’s what we ask when we want to make sure that someone we love doesn’t miss the message. 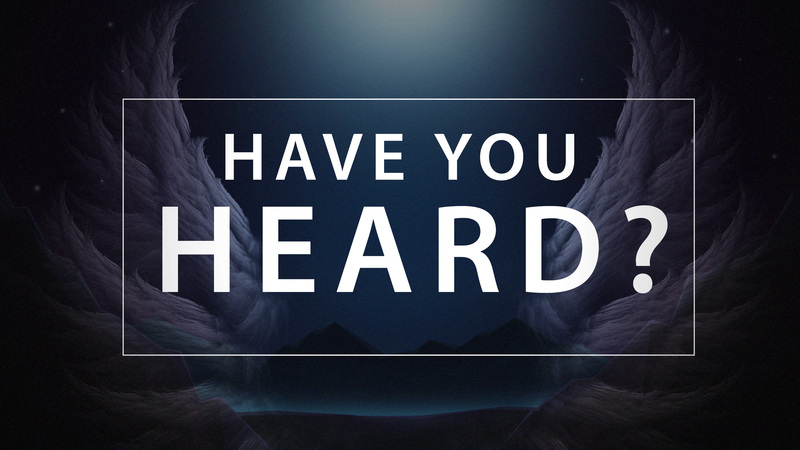 When you look at what the Bible says about the birth of Jesus Christ, you discover that the message of his coming was largely delivered by angels – the angels of Christmas. In every message there will be clear, down-to-earth, practical applications of God’s truth to our lives. Invite a friend and don’t miss a single Sunday. It’s a great joy to be on this journey with you, and I look forward to every part of our Christmas celebration together. The best is yet to come!